Do we need architects to plan informal settlements? 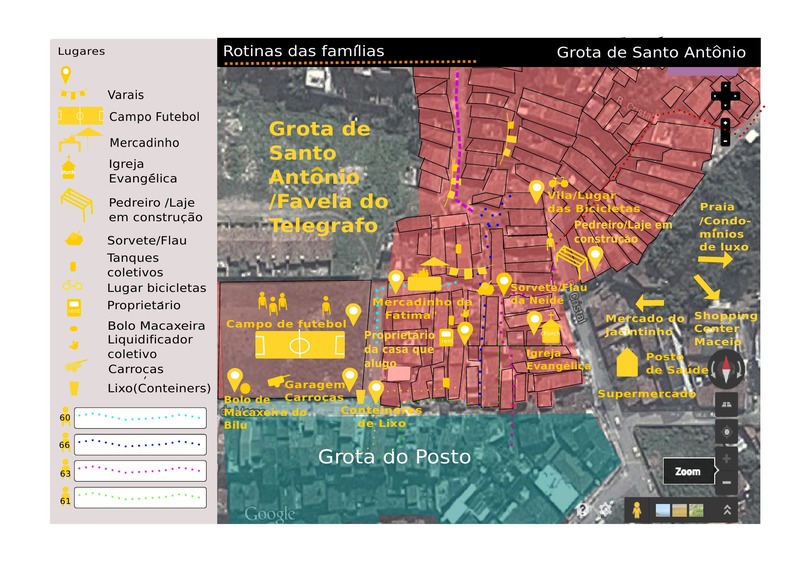 I have been conducting participatory research in favelas for 5 years, and have been living in the “Favela do Telégrafo/ Grota de Santo Antônio” Maceió, for one year. This is one of the 182 favelas in a town that is considered the most “unequal” in Brazil. 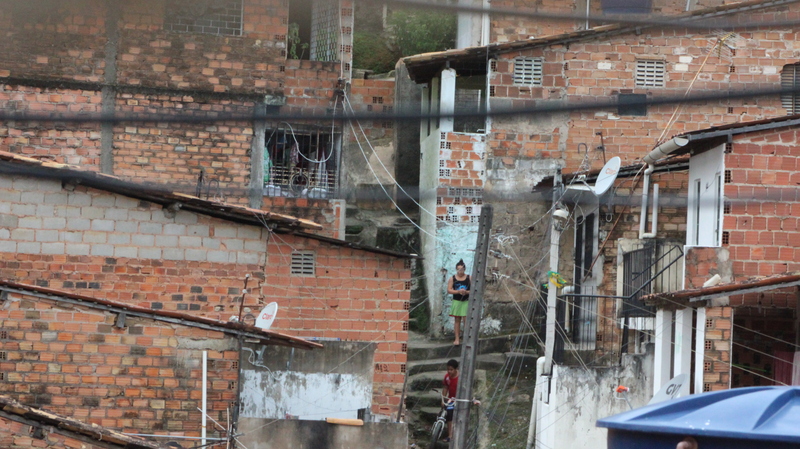 823 inhabitants live in this favela, whose formation has begun in 1970. It is located along the “Vale do Reginaldo”, where most informal settlements are. Here, many inhabitants live in multifamily units (the third greatest number of these type among favelas in Maceió). map of Grota de Santo Antônio from Ana Rosa Chagas Cavalcanti. Although many scholars focus on favela theory, what catches my attention is the study of everyday life and its correspondence with architectural practices. However, everyday habits of residents are often not integrated into the design proposals for improving the infrastructures of favelas From housing for people evicted from favelas (e.g. Minha Casa Minha Vida); to recent practices related to working in the field… from top-down planning approaches like mass housing projects and bottom-up approaches that require more acupuncturist strategies. The latter are projects that don’t address the needs of tenants, but rather the needs of who coordinates projects in the communities. Once, a researcher confessed to me: “we have to make decisions for the community, because residents don’t know what is best for them”… In fact there are not many projects where residents have real autonomy to decide. Perhaps that’s why we notice many projects that are not coherent with favela daily life. Grounded on this assumption, I propose the following questions: what are the ethics, the logics and the emotions that prevail in projects for Favelas? Those of tenants or those of who can decide? image of children using one common stairway of the Grota de Santo Antônio, also known as the Grotto of Santo Antonio; from Ana Rosa Chagas Cavalcanti. There is significant amount of freedom from regulation available for dwellings in Favelas; the ‘freedom to build’ is an obvious one, but not many studies go over it. This often prevents to understand its dynamics. While, a lot has already been written about this, and planners and scholars may think they know what the needs of people are, the integration of architectural design and planning with the everyday life of people who live in favelas is often unbalanced. When housing projects can’t address the needs of people, people adapt the architecture to their needs. Not to mention that design can destroy neighborhood ties and activities, often forgetting what may have existed there before. These ties are fundamental for both formation and development of a favela, because they create and they manage space. Lets us recall the case of “Favela Cidade de Deus”, a social housing block that became one of the greatest favelas in Brazil. Even when they were re-located in a different spatial context, tenants conducted habits that turned this space once again in a favela. The paradigm of inhabitants everyday habits in relation to design may sound banal. But it is an indisputable reality to design, much as the favelas are an indisputable reality in relation to Brazilian cities. Traditional standards include thinking about organizational structures that arise from the logic of abundance. Favela residents often remodel housing to accommodate human activities and needs that arise from the lack of spatial and financial resources. For example, people tend to embed commercial activities in their homes, or to accommodate extended family members building an extra or partitioning an existing room.Should we think across scarcity? Should we formulate methods using the science of dwellers? Well maybe so, since residents built space and its outcomes. Will architects and planners visualize and address these places with their traditional standards? 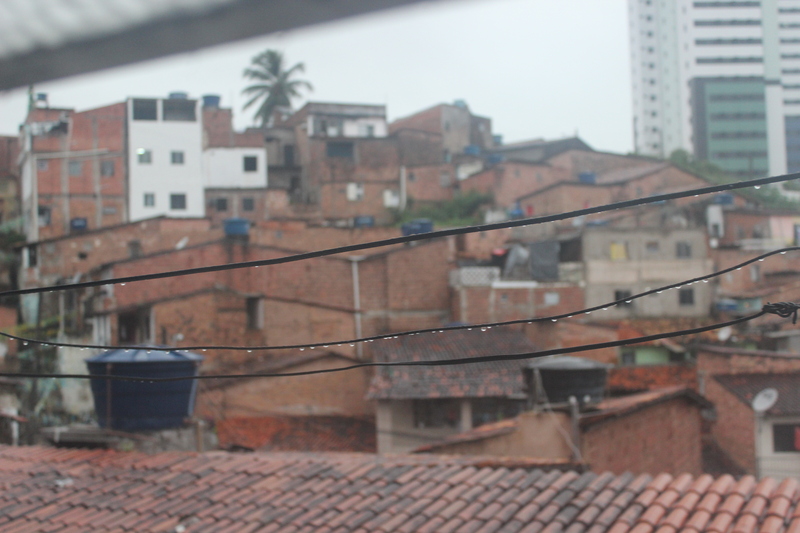 How can design understand and acknowledge the social practices of everyday life in favelas? We know that they were the original architects of those places therefore neglecting residents input from the housing process can be careless. By recognizing inhabitants, we assume that instruments, methods and tools have to be sharpened to better understand and to better address everyday dynamics of a city within a city On what scale do residents consider self-construction of their individual housing? Is it the housing unit with in the city? With in the neighborhood? With in the Favela or on the alley? 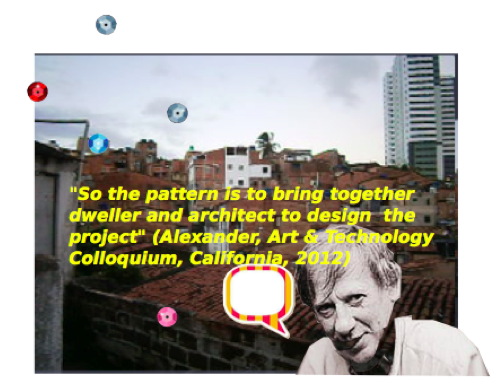 In this hypothetical framework, who are the actors responsible for designing the favelas? What are their meanings to tenants? Residents see housing through a specific perspective. Thus, a bricklayer is an important character in the transformation of favela built environment, much as a family core is a unit for the calculation of spaces, and people skills are a purchase value within informal economies. Furthermore, there is a combination of dwelling practices that is related to the activities of self-building by consulting and by sharing infrastructures and appliances with neighbors. This relation can teach about different perspectives to governance and participatory planning strategies that could be real inclusive. Urban projects are based in terms of organizational and control framework. More precisely, when governors and planners aim to plan they have to think about the environment, costs, sites, peoples’ needs, materials, ideas, time, space, framework, and the political realm. Luciana Royer, a manager engaged with the program My House My Life in Brazil, states, “When you build housing for so many and in such limited time frame, it is what we can do…“(Royer, DAZ, 2014). Perhaps we need to enrich design, planning and managing disciplines to understand the science of dwellers. That is, we may have to reinforce three topics: field, people and participation. The construction of the built environment includes its real inhabitants. collage of Christopher Alexander quote from Ana Rosa Chagas Cavalcanti. 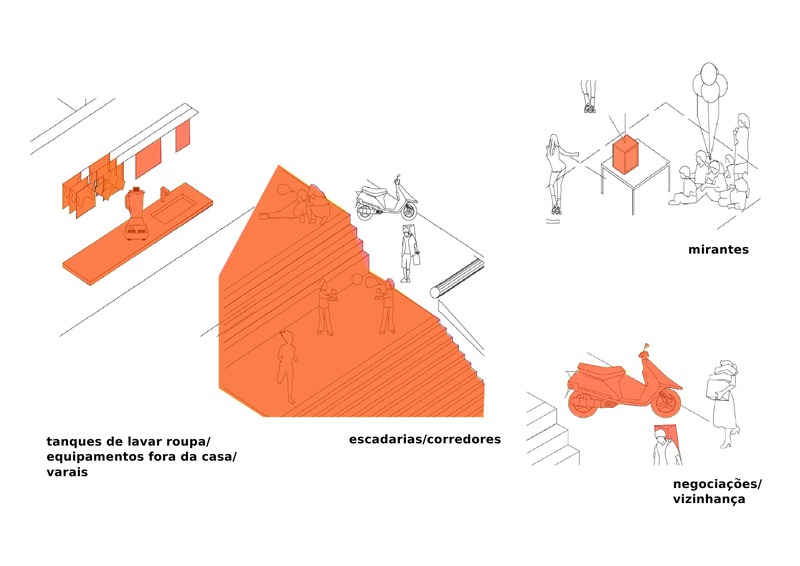 How to design for the flexible and complex needs of a diverse group of favela dwellers by learning from pre-conditions? Communal issues are remarkable in the favela. It is mainly expressed through commonly shared devices and through spatial attributes. It is normal for laundry tanks, electrical plugs, water storage tanks, buckets, corridors, stairs, rooftop patios/laje/slab, belvedere/viewing points, outside appliances , laundry rooms, bike parking, and waste containers are used and shared by multiple users. Moreover, it would not be a surprise if many neighbors’ doors may be left ajar on a daily basis. illustration of some shared spaces in the favelas (color); from Ana Rosa Chagas Cavalcanti. Relations between private, shared and public spaces can be unclear sometimes. They are not defined by an architectural program but through specific space attributions, and human activities. Negotiations and compromises with neighbors are fundamental. For example, houses have improvised self-built sewage and electrical systems that often connect to neighboring ones. Usually, repairing them requires constant guesstimating where the pipes or wires are coming from with respect to those of the neighbors. For example, my neighbor’s water tank is located in an unused corner of my corridor. A pump pumps the water to his house. Houses have currently been remodeled to incorporate small businesses, churches and Internet spots. Furthermore, single-family units are becoming multi-family units. Usually they have a single typology: one kitchen, one bathroom, one living room and a single bedroom, from 1 to 4 story-buildings. There are plenty of improvisations like holes in the bottom of houses that allow water to drain… ventilation holes, apparent pipes… Some subtle differences denote quality (e. g. the access to a belvedere, the revetment of the front facade). 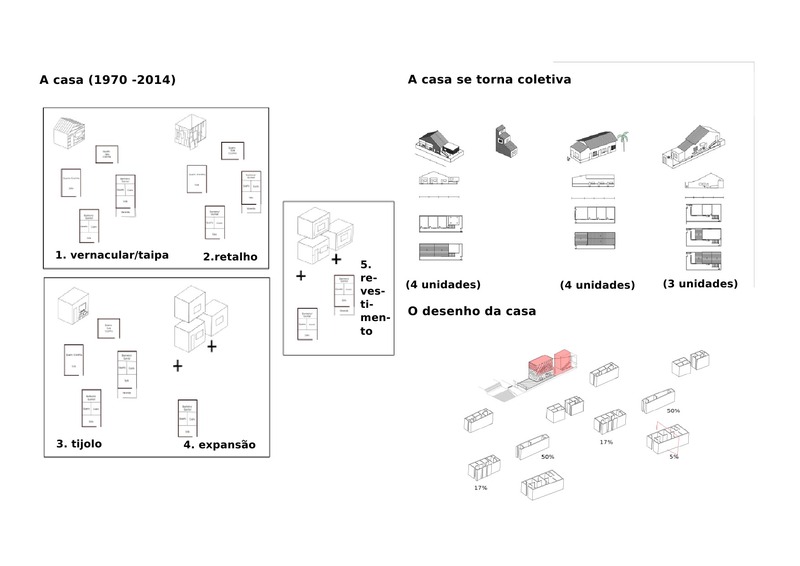 multifamily typologies in the Favela of the Telegraph/Grotto of Santo Antonio from Ana Rosa Chagas Cavalcanti. 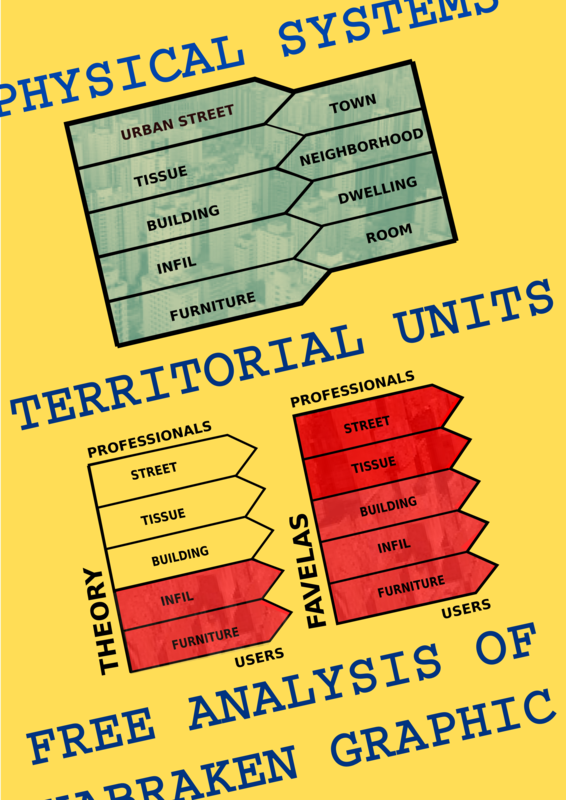 How can we discuss the design and organization of the nature in informal settlements? The complexities between building, needs and construction of the place are an integrated process. Social housing design in Brazil has not changed much qualitatively from the standard established in the 70´s. The predominant housing model is the mass-housing unit based in the standardization of easy buildable typologies. In comparison to these units, favelas don’t seem to fail as a housing model. If we consider that this is a housing project that is built using heterogeneous ways of appropriating and reclaiming space, whose density is growing organically, and there is a passion to build. I believe it is a fairly coherent and successful form of mass-housing; an ‘architecture entity’. Most people seem satisfied with the fact that space is not planned by one person, but by many people; it is open and inclusive, prioritizes hope: house conditions have been improving. On the other hand it fails in basic infrastructure such as sewage, electricity and lack of basic citizens rights. But again, at the same time, what we notice is that the infrastructure provided by all, discussed, negotiated, cared and managed. How can we improve our methods to focus more on everyday life? How can we consider the will of self-construction when we think about design? It seems that while we do not have more consistent answers, more coherent design approaches, and more links between theory and practice, we will continue to improvise. Image of home from Ana Rosa Chagas Cavalcanti. 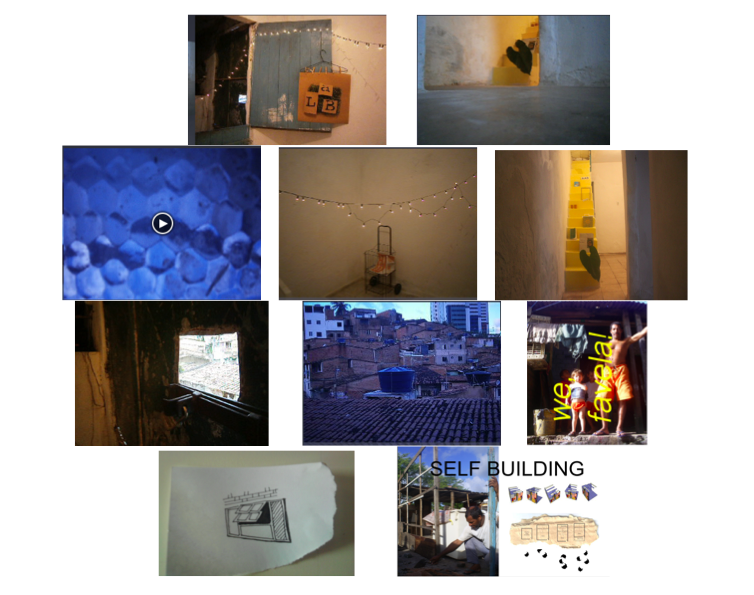 Images of several registers of my life in the favela from Ana Rosa Chagas Cavalcanti. 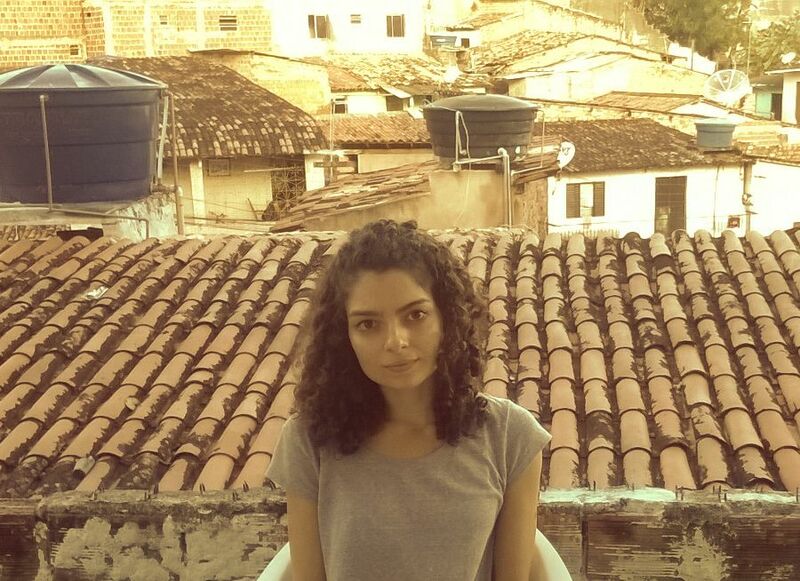 Ana Rosa Chagas Cavalcanti studied architecture and urbanism in Brazil (2004-2009, UFAL). Her thesis “Arquitetura da Carência”, an embedded research in the Favela Sururu de Capote, culminated with a graduation with distinction and an indication to Opera Prima 2009 (prize for best Brazilian graduation thesis). She worked at Bijari (2010) and at Triptyque Architecture (2011). In 2012, she concluded her Master (La Sapienza/ ENSA Paris-Val-de-Seine) and in 2013, she worked as guest researcher on Urban Design at University of Hamburg. She also investigated cities at TUDelft (2014) and has recently won a full scholarship for her PhD (Sciences without Borders). 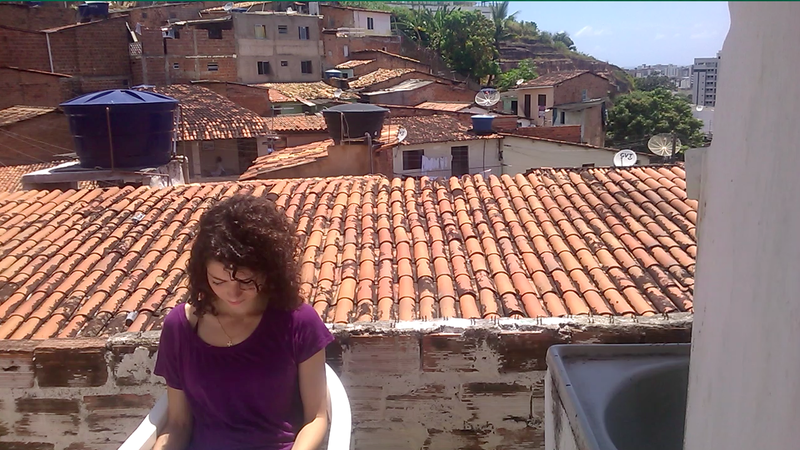 Her research investigates favelas in the context of contemporary urbanism, focusing on the micro scale, on the everyday life, on the participation and on the process design. Furthermore, she awarded the first prize in the architectural competition 72HUA (Terni, 2012) and has exhibited urban interventions at some architecture exhibitions, such as IBA Hamburg (2013). The Brazilian architecture magazine “AU” published some of her collaborative design projects, in 2014. In 2014, back in Brazil, she founded “Ladolab Favlab”, a urban laboratory in the “Favela do Telegrafo”, Maceió, where she is living and documenting architectural patterns. This work also includes an Exhibition at UCL Cities Methodologies 2014, as well as articles at EURAU 2014 and at the 15th NAERUS. Recently she awarded a IJURR fellowship for “Authors meet critics 2015” (Harvard University, UCLA, Sciences Po, ETH Zurich, LSE, Vrije Universiteit Brussel, University of Manchester, University of Cambridge, Charles University, Northeastern University, University of Leeds, Uppsala University, University of Milan Bicocca, CSIC Madrid). Alexander, C., & Ishikawa, S. (1977). A pattern language: Towns, buildings, construction. New York: Oxford University Press. Cavalcanti, A. R.C (Interviewer), & Royer, L (Interviewee). (2014, May, 3). Minha Casa Minha Vida mass housing [Interview Transcript]. Retrieved from Berlin Weltstadt Conference, Berlin 3.5.2014. Christopher Alexander. Lecture at Berkeley. Retrieved form The art, technology and culture colloquium. California 24.02.2012. Habraken, N., & Chinger, A. (2000). Die Trä und die Menschen: Das Ende des Massenwohnungsbaus. Netherlands: Arch-Edition Den Haag. Habraken, N., & Teicher, J. (1998). The structure of the ordinary: Form and control in the built environment. Cambridge, Mass. : MIT Press. Roy, A. Urban Informality: Transnational Perspectives from the Middle East, Latin America, and South Asia. Lanham, Md. : Lexington ; 2004. Print.